Reis played different types of guitar music and recorded the compositions of Bach, Barrios, Tárrega, as well as popular Brazilian composers. His preference was the traditional Brazilian guitar style: waltzes and choros full of modulations to "confuse accompanists," played with his unique style and sound. Reis's first LP came out in 1941, with his waltz "Noite de Lua" and his choro "Magoado." In the period between 1941 and 1942 he joined a guitar orchestra which enlivened sophisticated evenings at the Casino da Urca. In 1953, he toured the U.S., recording for CBS. His waltz "Abismo de Rosas," still popular to this day in some circles, was one of the most expressive recordings for Continental (Brazil) during the fertile period between 1950 and 1960. In 1972 he recorded the LP Dilermando Reis Interpreta Pixinguinha and in 1975, released O Violão (The guitar). 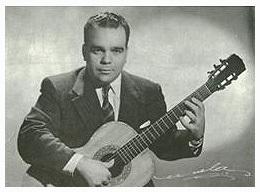 He recorded about 100 of his own compositions, many of which became standards of Brazilian popular guitar, like "Dois Destinos" and "Se Ela Perguntar." In 1975 he recorded the LP The Brazilian Guitar of Dilermando Reis, containing his last compositions. Reis was responsible for the rediscovery of the great composer João Pernambuco, and recorded several of Pernambuco's works. As a professor of guitar, Reis counted among his students president Juscelino Kubitschek and the guitarists Bola Sete and Darci Vilaverde. 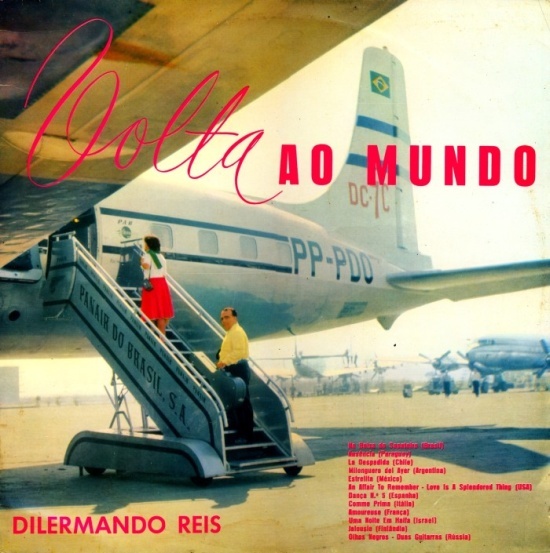 cover to the score of "Se Ela Perguntar"
by "his majesty of the guitar"
Cover to the LP A Volta ao Mundo com ("around the world with") Dilermando Reis (1959). This album includes Dilermando Reis' renditions of music from several countries.